The Rockabellas, all female close harmony trio performing everything from wartime singalongs to modern day chart-toppers, with the glamour and grace of the 1940s. 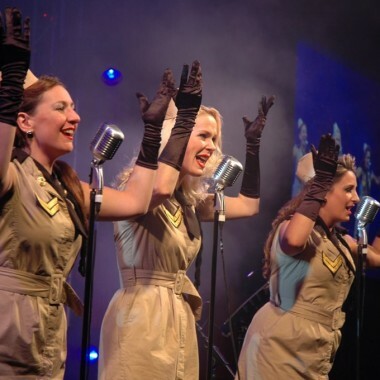 An all female close harmony trio performing everything from wartime singalongs to modern day chart-toppers, all with the glamour and grace of the 1940s. 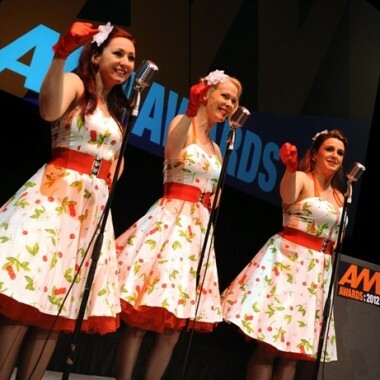 The Rockabellas are the naughties answer to The Andrews Sisters. 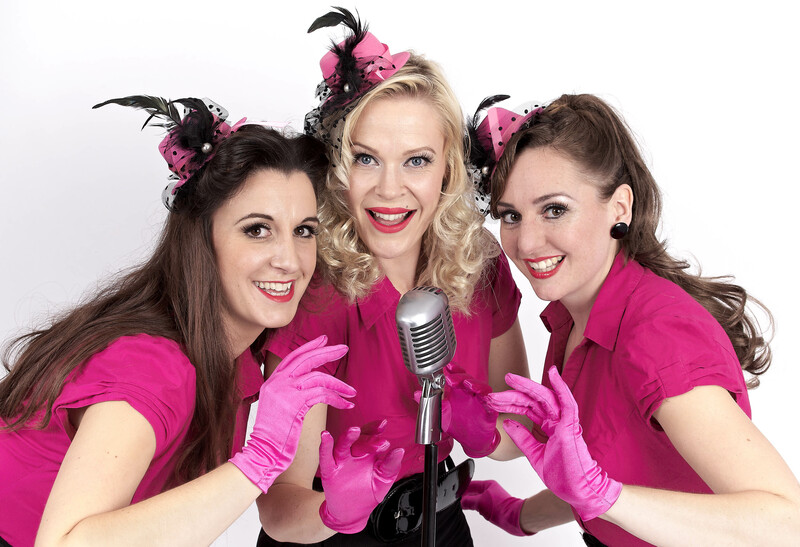 With killer heels, killer curves and killer harmonies, this all female close harmony trio have been called to the musical front line to lift the spirits of ladies and gentlemen all over the world. Whether it’s a small underground club (Cellar Bar, Covent Garden), a large corporate affair (Barclays, UBS, JD Sports), a public event (Bury St Edmunds Christmas Fayre) or a private party (Mr & Mrs Jones from no. 5), they have been there, done it and worn the pencil skirt. In full costume (choose from women at war uniforms, pin up sailor girl outfits or hot pink pencil skirt couture) with hair and makeup in tune with the era too, they perform with retro microphones plus top spec lighting and PA, so as to offer a complete theatrical act suitable for high end cabaret at corporate or private functions and events. “It Don’t Mean A Thing If It Aint Got That Swing. 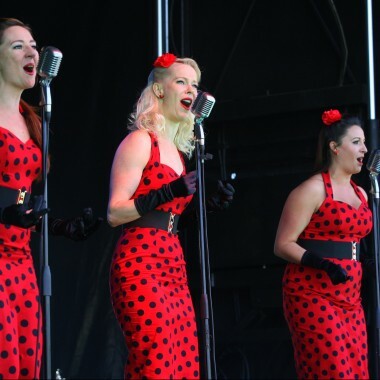 The girls are ideal for all festive events, from a capella close-harmony carolling around shopping malls to town centre light switch-ons – not to mention office parties, corporate cabaret and NYE! They have a fabulous party set where they have given artists such as Michael Jackson, Amy Winehouse, Kylie Minogue, Rihanna and Madonna a complete retro makeover! With top-to-toe festive pin-up couture, a huge seasonal repertoire and the option of live accompaniment (up to a 14 piece big band) with their very own ‘Rockafellas’, you’ll be wishing it was Christmas every day!